In 2010, Thom Jongkind, DJing under the stage name Scalix, decided to form a DJ duo with fellow producer, Leon Vielvoije. This project was called Blasterjaxx. Thom realized from the start that both were making great strides in terms of production and popularity. Nonetheless, the relationship between the two producers, soon began to crumble. 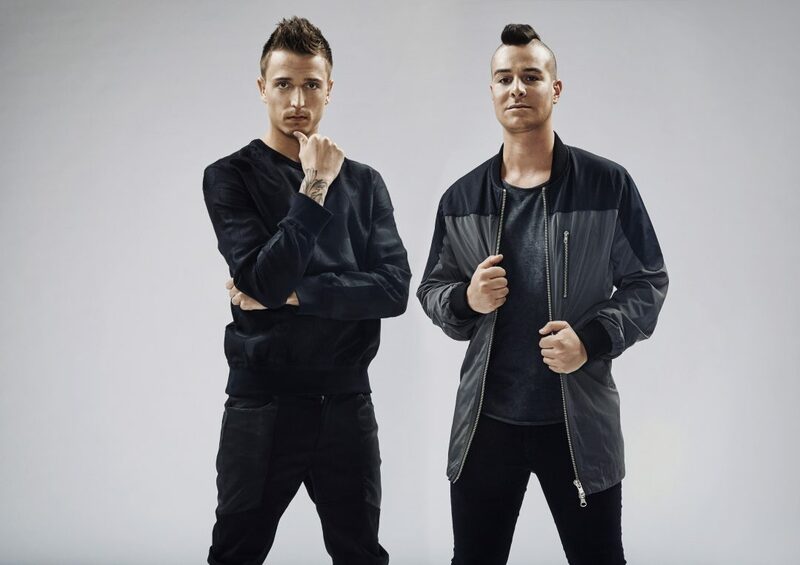 The two split soon after the birth of the group; however, Thom then continued under the Blasterjaxx name by himself. Jongkind had had a few collaborations with Idir Makhlaf, who was then operating under the name Macosta. Makhlaf eventually officially joined Jongkind and the duo in their current form was born. In 2012, the Reborn EP was released with D-Rashid containing two tracks: “Reborn” and “Where We Go.” Dutch EDM producer and DJ, Laidback Luke, signed the tracks to his own label Mixmash Records. In early 2013, the group produced Loud & Proud together with Billy The Kit, with DJ Tiësto subsequently signing the track to his personal record label, Musical Freedom. Blasterjaxx remixed the Tiësto hits “Adagio for Strings” and “Love Comes Again” as well as collaborating with him on a remix of “United”, the official anthem of Ultra Music Festival. Blasterjaxx has additional collaboration credits with such distinguished EDM acts as Dimitri Vegas & Like Mike, David Guetta, Hardwell, Afrojack, Nicky Romero, Quintino Ibranovski and many others. Blasterjaxx first entered “DJ Mag’s Top 100 DJs poll at 71 in 2013. 2014 saw the duo catapult to #13, to which they have held their own placing #19 in 2015. June 2015 saw Blasterjaxx partner with Electronic Music lifestyle brand Electric Family to produce a collaboration bracelet for which 100% of the proceeds are donated to The 20x20x20 Foundation. The 20x20x20 Foundation aims to restore vision back to 20/20 for 20 million blind adults and children. 20 million people worldwide are curably blind, but unable to afford the quick 15 minute operation that could restore their sight. This foundation aims to tackle these $300 operations one at a time until this problem has been fixed.